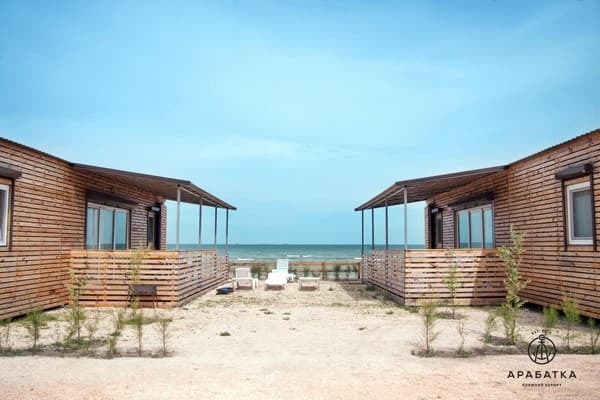 Located on the shore of the Azov Sea, the beach resort of Arabatka opens its doors to lovers of warm sea and bright sun. On the territory of 22 rooms for family and individual accommodation with personal parking, a few meters from the sea. 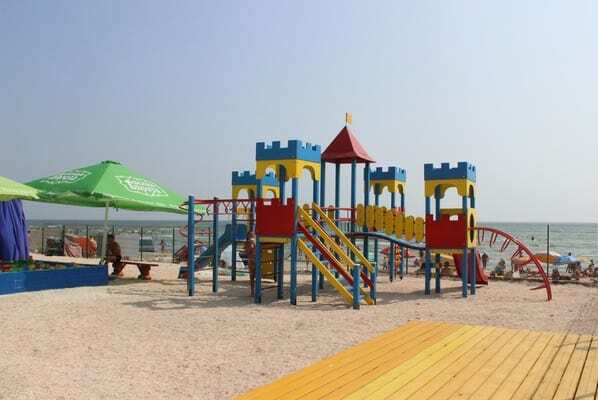 The rooms are equipped with everything necessary for comfortable rest and are suitable for accommodation with children. Rooms overlook a magnificent sandy beach, more than four hundred meters long with sun beds and umbrellas. 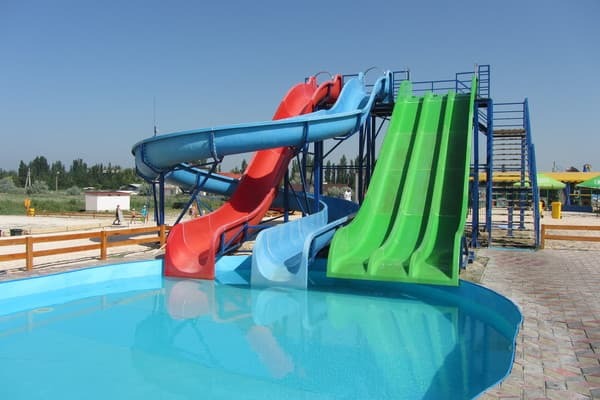 On the territory of the resort: a children's club, a tavern, water attractions and a sea of ​​entertainment. 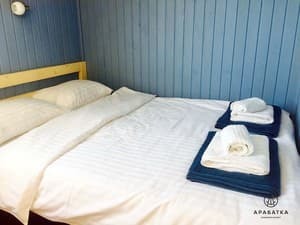 Description of the room: At 45 meters from the sea on the second line are the Standard Studio rooms, which are ideal for accommodation of two people. 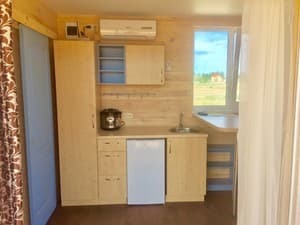 The room has a bedroom, a studio kitchen and a small bathroom. node. Each room has a TV, air conditioning, a kitchenette in the kitchen and the necessary utensils. Each room has a separate entrance and a private terrace. Maximum occupancy in the room: two adults and a child up to 1 year without providing a separate bed. Description of the room: At thirty meters from the sea are family cottages, where comfortably can accommodate a family of four. In the studio there is a kitchen with a multicast and necessary utensils, a TV-set and air conditioning, 2 separate bedrooms. In one of the bedrooms, suitable for accommodation of two adults is a double bed, in the second, suitable for placing two children is a bunk bed. In the room there is a small bathroom with a shower. Each cottage has a private entrance and a terrace overlooking the sea. The cottage is suitable for 2 adults and 2 children up to 16 years of age or up to 160 cm in height. It is also possible to place a child under 1 year without providing a separate bed. 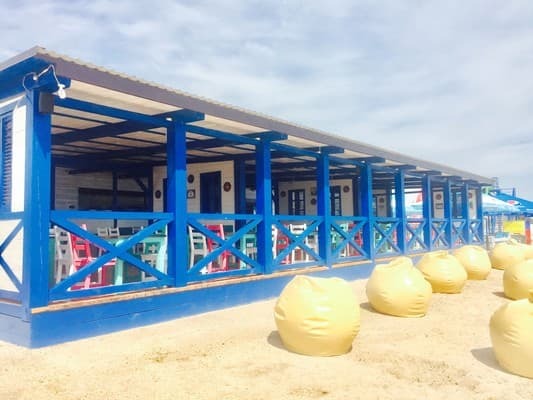 On the territory of the resort there is the Taverna "Elia", the Beach Bar, as well as the Fast Food "Papay".